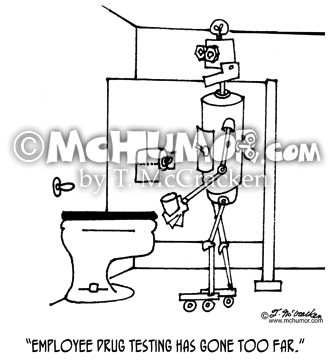 Robot Cartoon 3117: A robot with a cup in a rest room says, "Employee drug testing has gone too far." 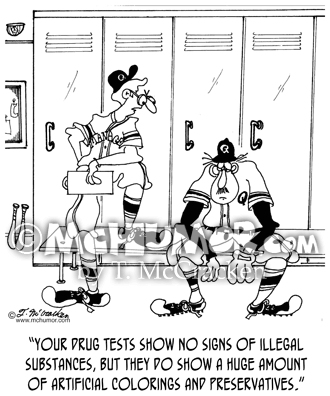 Baseball Cartoon 2562: A coach saying to a player, "Your drug tests show no signs of illegal substances, but they do show a huge amount of artificial colorings and preservatives." 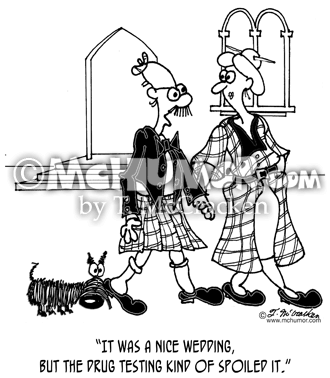 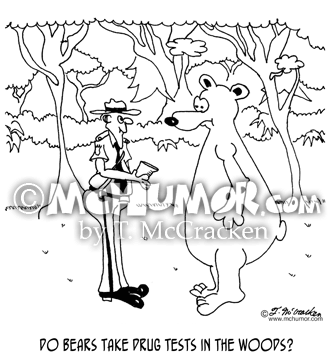 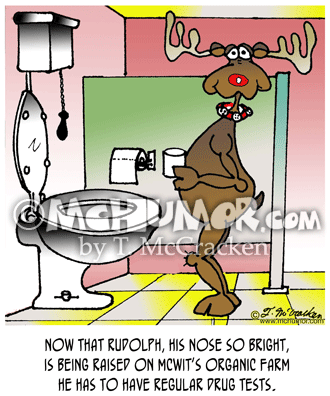 McMac Cartoon 7805: A man leaving a church says: "It was a nice wedding, but the drug testing kind of spoiled it." 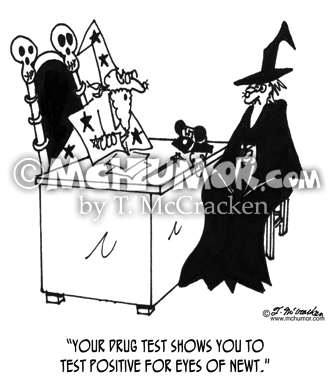 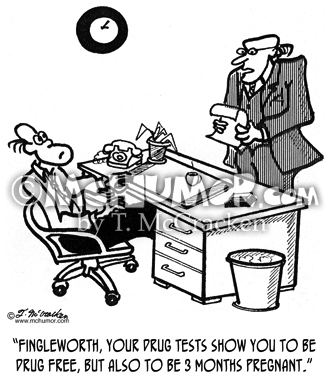 Drug Test Cartoon 4601: A wizard ways to a witch, "Your drug test shows you to test positive for eyes of newt." 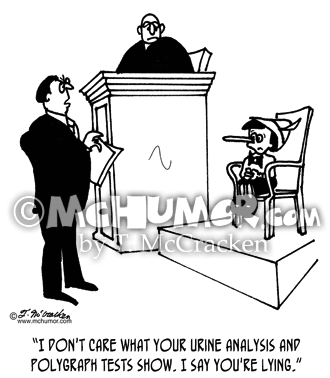 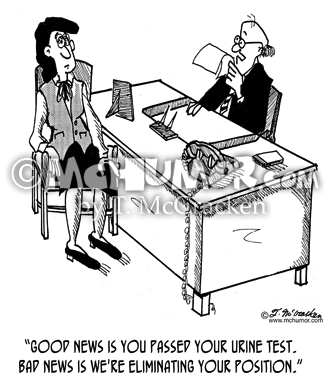 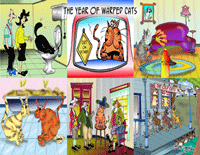 Witness Cartoon 3138: A lawyer says to Pinocchio on the stand with a huge nose, "I don't care what your urine analysis and polygraph tests show. 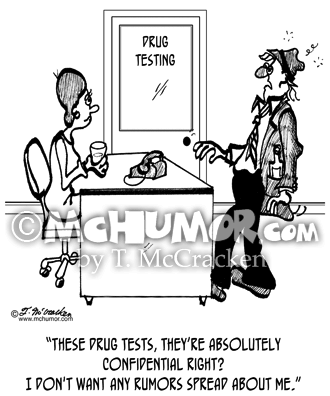 I say you're lying."